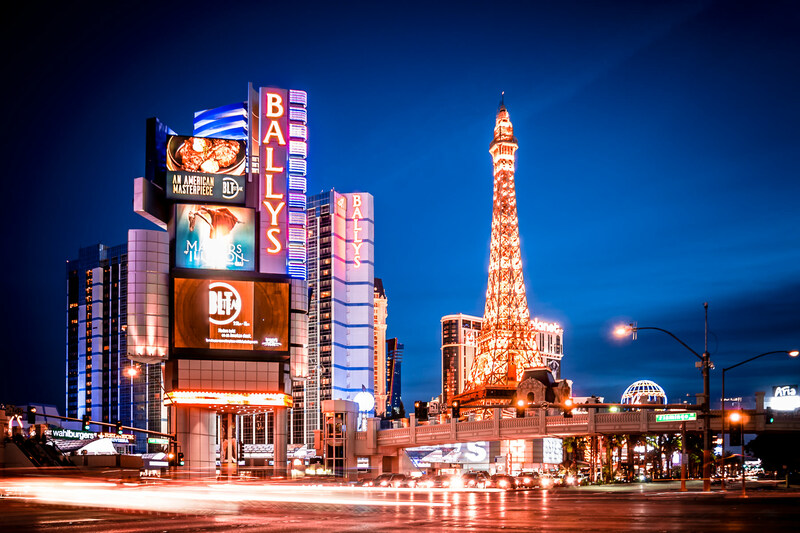 Night descends on Ballys and Paris Las Vegas along with the rest of The Strip. 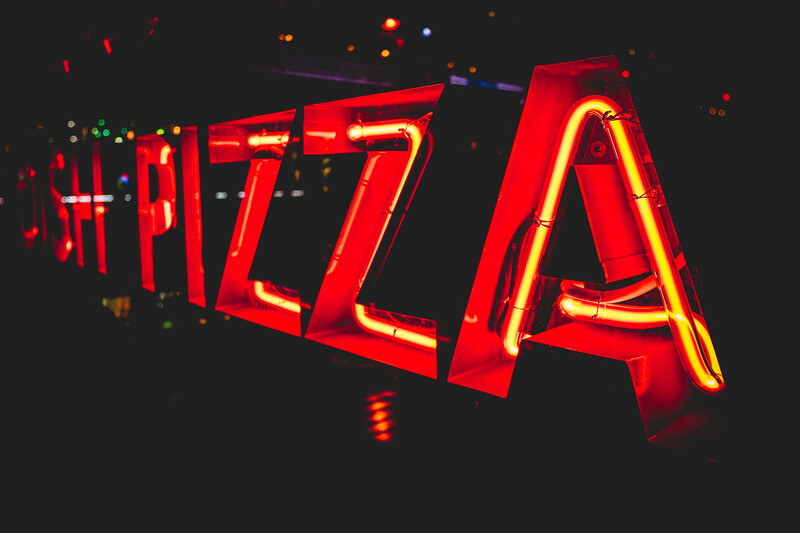 A neon sign at Giordano’s Pizza at the Grand Bazaar, Ballys, Las Vegas. 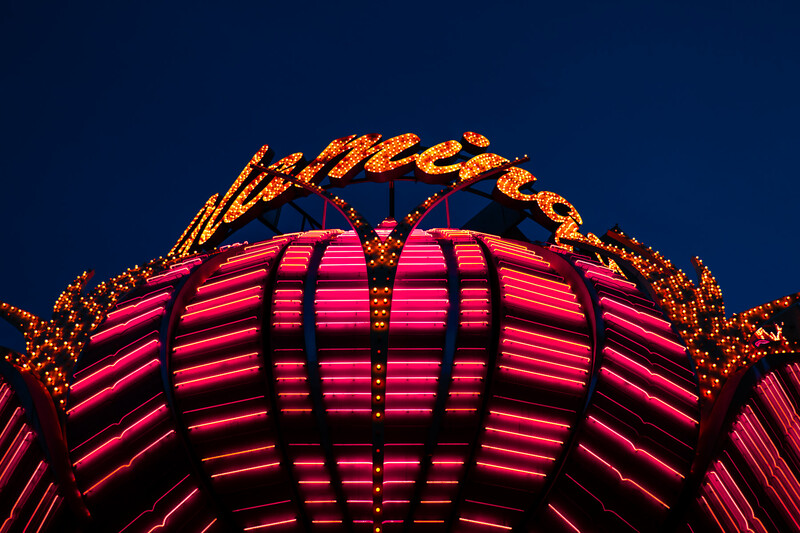 One of the neon signs at the Flamingo, Las Vegas. 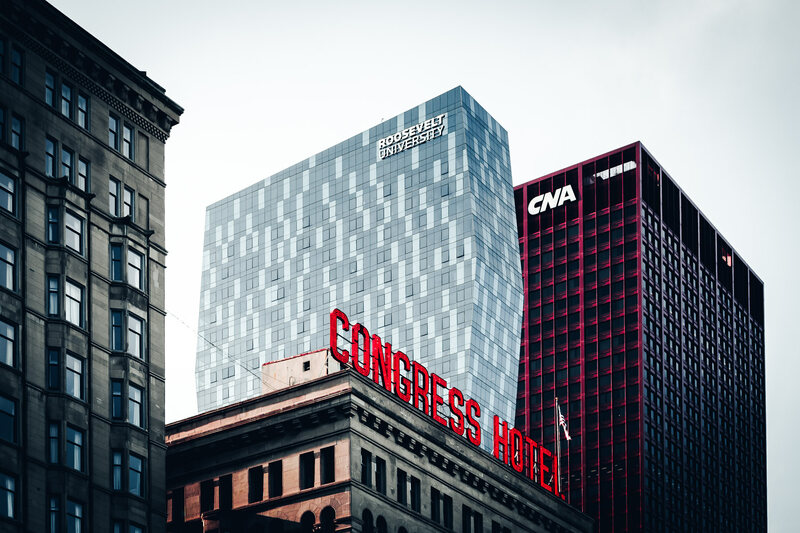 The neon sign of Chicago’s Congress Hotel, overshadowed by surrounding skyscrapers. 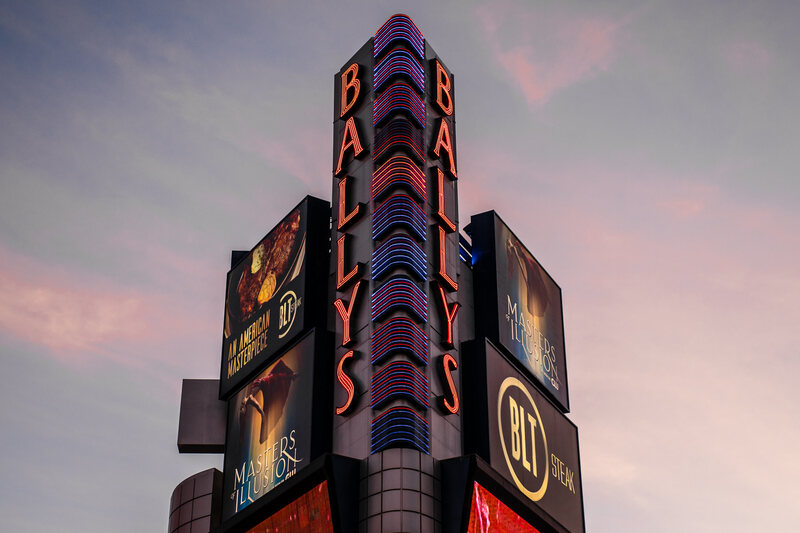 The sign at Ballys Las Vegas rises into the morning Nevada sky. 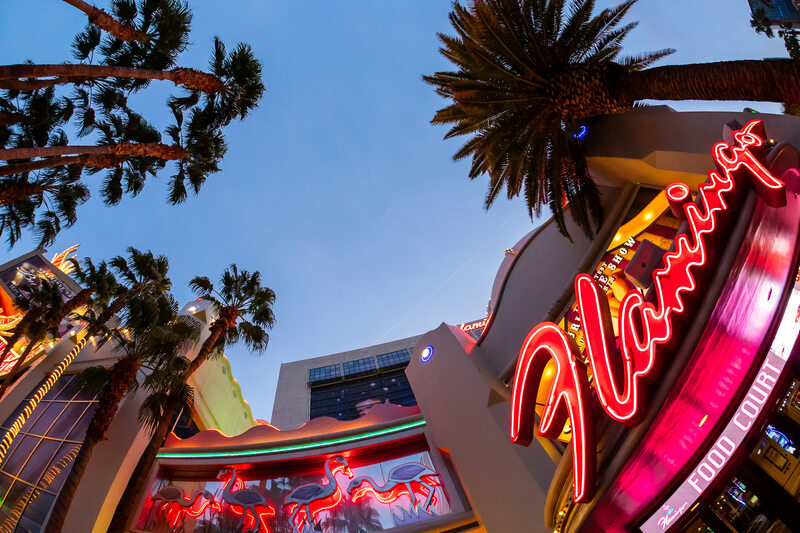 One of the signs at Las Vegas’ Flamingo glows as the sun begins to rise on The Strip. 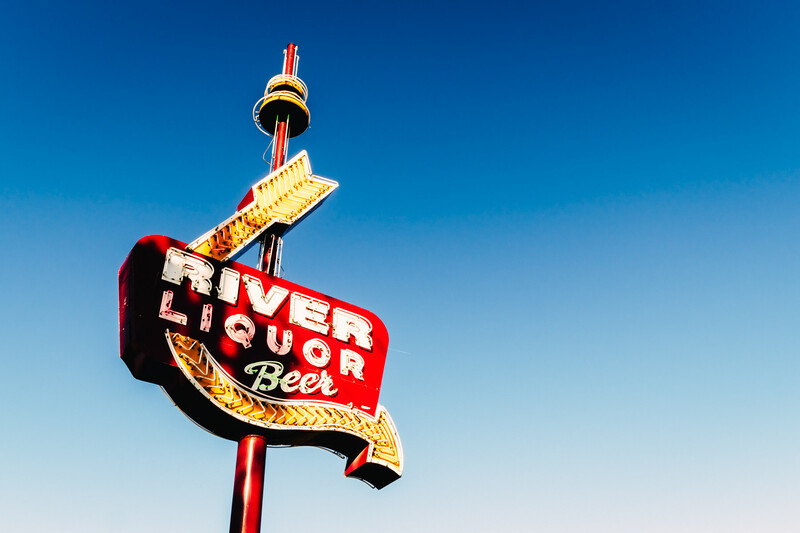 The sign for a liquor store rises into the sky in South Dallas’ Cedar Crest neighborhood. 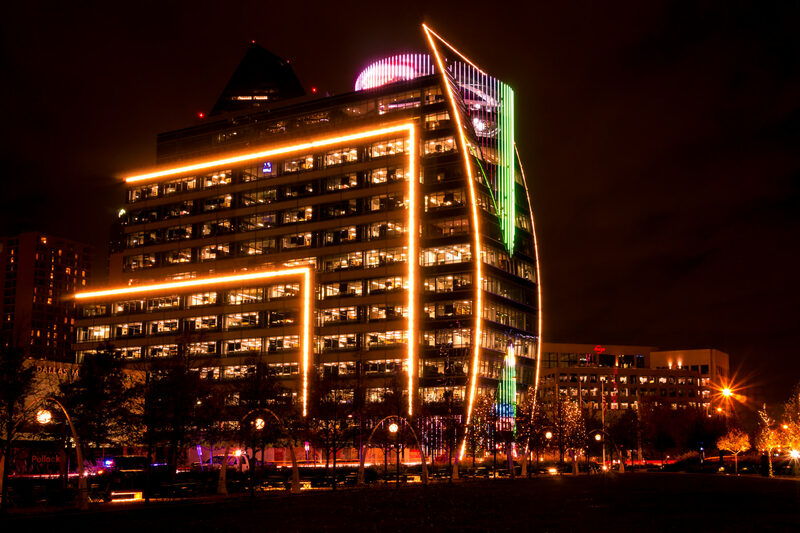 The Hunt Oil Company headquarters building lights up its environs in Downtown Dallas. 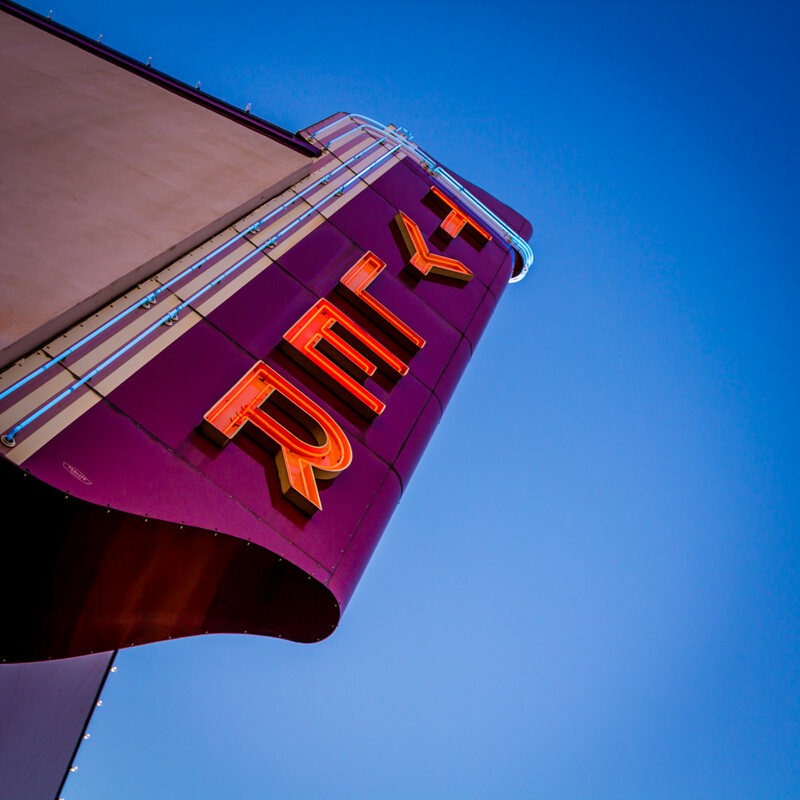 The newly-repaired sign of the long-closed Tyler Theater in Downtown Tyler, Texas, reaches into the early-evening sky. 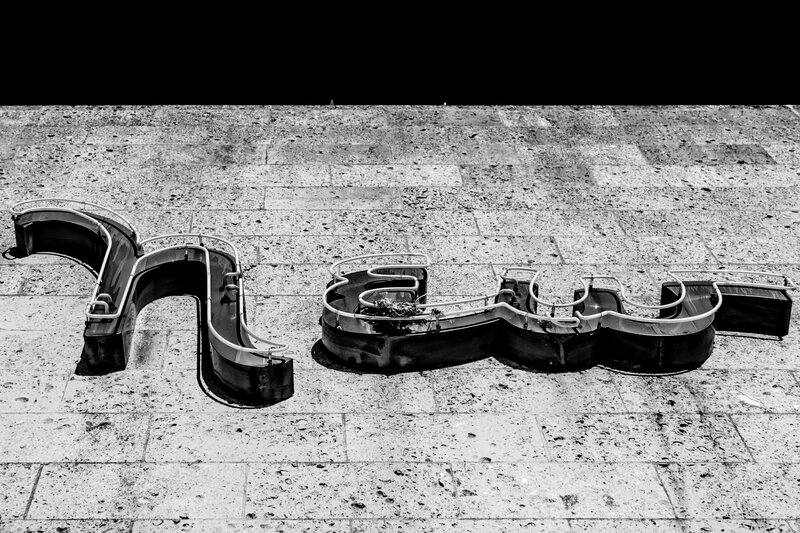 A neon sign on a storefront in Downtown Tyler, Texas.